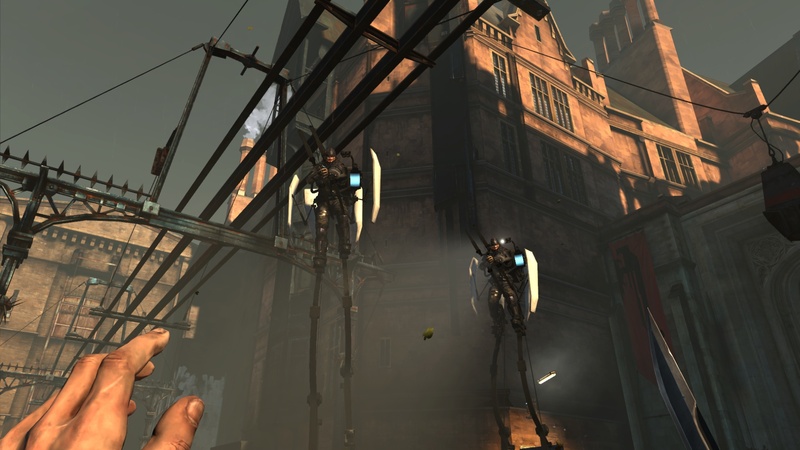 A new batch of screenshots from Arkane Studios' upcoming Dishonored have emerged from Gamescom 2011. Try not to cut yourself. 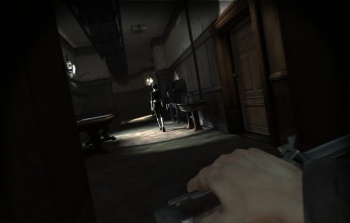 The game, which is currently slated to hit the Xbox 360, PlayStation 3 and PC platforms next year, has generated a lot of buzz recently both based on its open world format and the pedigree of its development team. 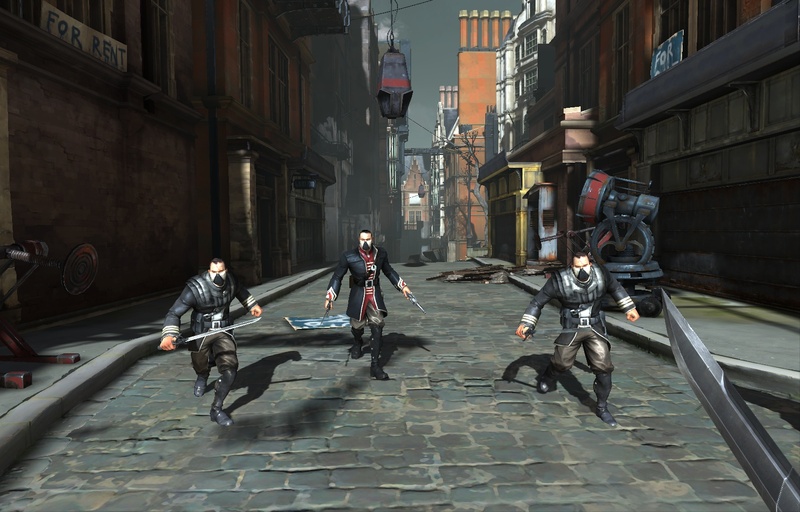 Dishonored lead designers Harvey Smith and Raf Colantonio previously worked on Thief: Deadly Shadows and Arx Fatalis, respectively. Given that the game was revealed to the public only a month or so ago, there are scant details regarding how exactly this thing plays. We know that characters within the world follow their own independent schedules, regardless of what the player does (or, alternately, directly in reaction to things the player does), and we know that every obstacle offers multiple solutions, but that's essentially it, gameplay-wise. This latest batch of screenshots, while attractive, doesn't do much to aid that dearth of detailed info either. Wait, actually ... maybe they do. 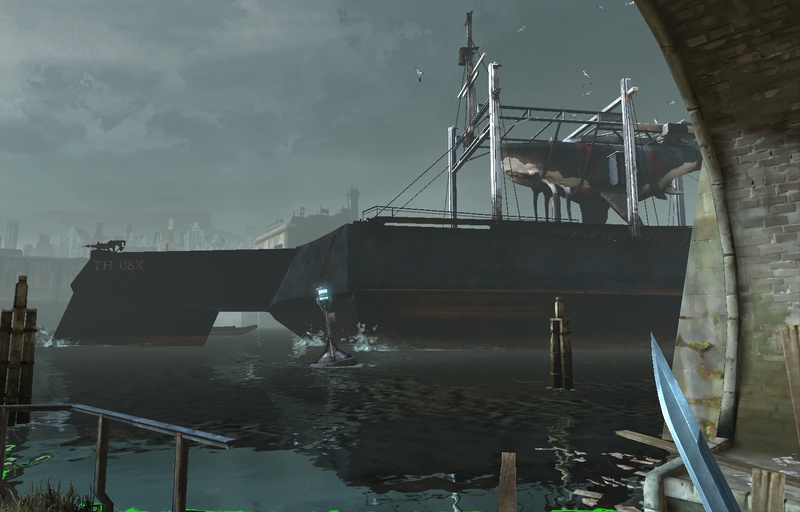 Alright, so, if I'm reading these images correctly, Dishonored is a game about a stab-happy steampunk enthusiast tasked with increasingly difficult assassination missions, likely in the service of a nefarious politician (there's always a nefarious politician). As you gain experience, and become more proficient at the art of knifing targets to death, your targets too become more proficient at resisting your macabre advances. You start small, with an order to kill a seagull (lest it poo on a nearby statue) but before you know it you're hunting the most dangerous game: men on stilts!